With the launch of the Open Electricity Market, consumers can now enjoy more choices and flexibility in their electricity purchases. Households and businesses nationwide have the freedom to select and switch electricity retailers, at price plans that best meet their needs. Sembcorp is a trusted home-grown brand that has energized Singapore for over two decades, powering growth and brightening lives. Switch to Sembcorp today and pay with your OCBC Card for bigger savings! Enjoy S$40 cash rebate when you set-up your recurring electricity bills payment on your OCBC Credit/Debit Card. Limited to the first 4,000 customers who sign up with Sembcorp by 30 April 2019 and complete your set-up of recurring payment by 31 May 2019. First electricity bill must be charged to your card and paid by 15 July 2019 to qualify. Maximum of S$40 cash rebate per cardmember. OCBC reserves the right to clawback the S$40 cash rebate if the recurring payment arrangement is terminated within twelve (12) months from the date the first recurring payment was charged. No Lock-in Contract Plan for OCBC Cardmembers: Use Promo Code ‘NOCONTRACT’ to enjoy an electricity plan with no lock in period at a lower service fee. Click here for more details. Enjoy additional 3% monthly rebate on your recurring electricity bill when you charge at least S$800 to your 365 Credit Card each month. 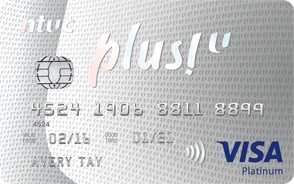 Total cashback amount on the card is capped at S$80 per calendar month. 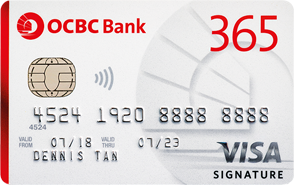 Visit ocbc.com/365card for more details. SembCorp currently offers exclusive Discount Off Tariff Plans for OCBC Cardmembers. What is the Open Electricity Market and who is eligible for the OCBC promotion? The Open Electricity Market is an initiative that gives consumers more choices and flexibility when buying electricity. Starting from 1 April 2018, consumers can select and switch to different electricity retailers, at a price plan that best meets their needs. The nationwide launch will roll out progressively across four geographical zones in Singapore from 1 November 2018. What is the process if I want to switch an electricity retailer and put it on recurring payment with an OCBC Card? To switch, simply complete the application with your preferred electricity retailer. They will usually take several working days for processing. To enjoy more savings on your electricity, simply select a recurring payment option with a OCBC Credit or Debit Card upon application. What are the price plans offered by Sembcorp Power? Do I need a new meter? How will the billing arrangement be like? Will my electricity supply be disrupted? OCBC has the right to end or withdraw the Promotion without giving you notice. In the event an Eligible Transaction is cancelled or reversed (either in whole or in part) for any reason, we reserve the right to debit the corresponding value of the cash rebate from the card account that it was credited into. If there is any difference between these terms and conditions and any brochure, marketing or promotional material relating to this Promotion, these terms and conditions will prevail. OCBC has the absolute discretion to amend, vary or change these terms and conditions without your consent or providing any notice to you. These terms and conditions shall be governed by the laws of Singapore. A person who is not a party to any agreement governed by these terms and conditions shall have no right under the Contracts (Rights of Third Parties) Act (Cap 53B) to enforce any of these terms and conditions.